Food & Drinks Checks Celebrate Your Lifestyle. When it comes to personal routines, many people enjoy a cup of coffee with their breakfast food. 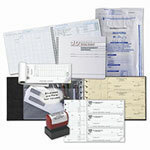 You'll find a large selection of coffee checks to choose from. Maybe you like to have a little wine with your dinner. Our wine themed personal checks are colorful and fun. No matter which food and drinks check designs you choose, you'll be celebrating the good life. This collection of personal checks has cupcakes, pizza and cookies in splendid close-up array, but it also gets serious with check designs featuring healthy food like fruits and veggies in dazzling, colorful combinations fresh from bona fide farmers' markets. Add several personal check designs touting wine and alcoholic beverages and voila! Your selection is complete. Whether you're a snacker or a gourmet cook, the chef or the chief partaker, you can pick a food & drinks check that lets folks know where you stand on that grand necessity of eating.